Have you been thinking about going back to school in the new year? 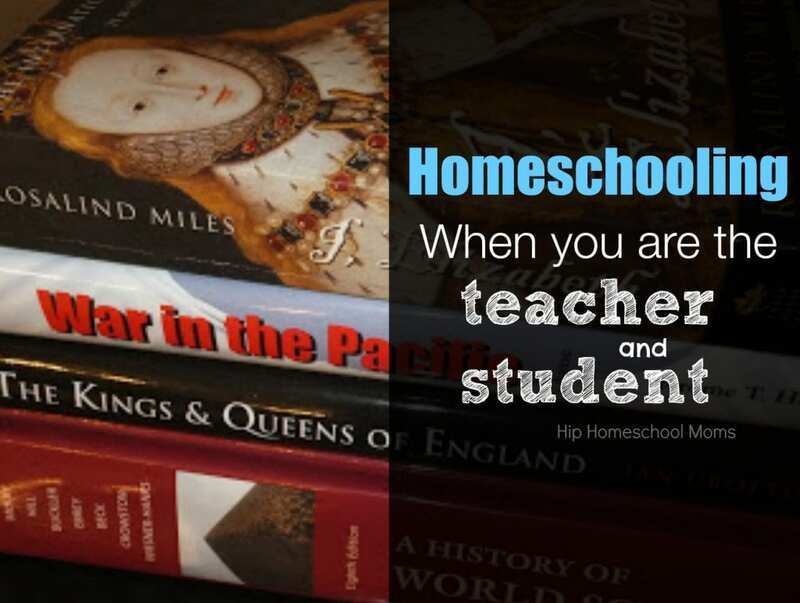 What happens to your homeschool if Mom is suddenly teacher AND student? By choice, I am a homeschooler. By trade I am a pediatric speech language pathologist. I love being an SLP, but this past summer, I decided I wanted to go back to school for something new and different. In an apparent (read impulsive) “I can do anything, I am so beyond type A kind of fervor” I went back to school again and registered for 7 hours this past fall. Reality set in. So I thought I would share some lessons learned. How you can continue homeschooling when you are teacher and student. Here are five things I learned this fall while trying to juggle going back to school with homeschooling 5 children, blogging, and being the Girl Scout troop leader. a schedule can only take so much, so since it wasn’t going to be my homeschool, or my two classes that had cost so much, it was the house and the laundry (“I know my kitchen counters are here somewhere, I just know it.”) We want to be superwomen, but there are only so many hours in the day. If the folded laundry piles sit an extra day waiting to be put away, that’s okay. If your house is a little messier than usual, that’s okay too. Remember these are not permanent conditions. by getting work done before deadlines when possible.I am just as bad (if not worse) a procrastinator now as I was 20 years ago and this has to change. This new semester, I am going to have to plan ahead better. What was able to be left to the last minute assignment/study-wise when I was twenty years old and single, cannot be left to the last minute at this stage in my life. With little people calling you Mom, something always comes up at that “last minute”, so giving yourself a buffer on deadlines is a good idea. unless you are fine with your family eating cereal for dinner (guilty). Meal planning (and utilization of the crockpot) means everyone gets fed, even if you have to type a paper or study for a midterm. Do keep easy things to prepare on hand so that if he has to, Dad can feed the troops something more nutritious than said cereal. Which reminds me, true story, I once sent my husband to the store for “staples”. He came home with Lucky Charms and a watermelon. Now I make specific lists. 4. It is okay to not be perfect. I had planned to get a 4.0 this first semester back. My first semester back to college saw me get a 3.0 average. Two “B”s. In one class, I missed having an A by a total of one whole point. This time, my watermelon buying husband was able to help me find persepective, by reminding me that a “B” was still a respectable grade and “A” or “B”, I had learned alot and that was what was really important. I was learning. I am learning. He was right…my first trip this year to a French speaking country, no one cared I had gotten a B instead of that A in French that I had wanted so badly. I’m sticking with it and have registered for ten hours this coming spring. I know this coming semester will bring with it its own set of life lessons. 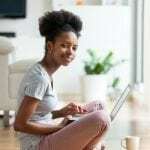 If your New Year journey includes going back to school for a class or degree while you are homeschooling, please share in the comments. I wish you much success on that journey. 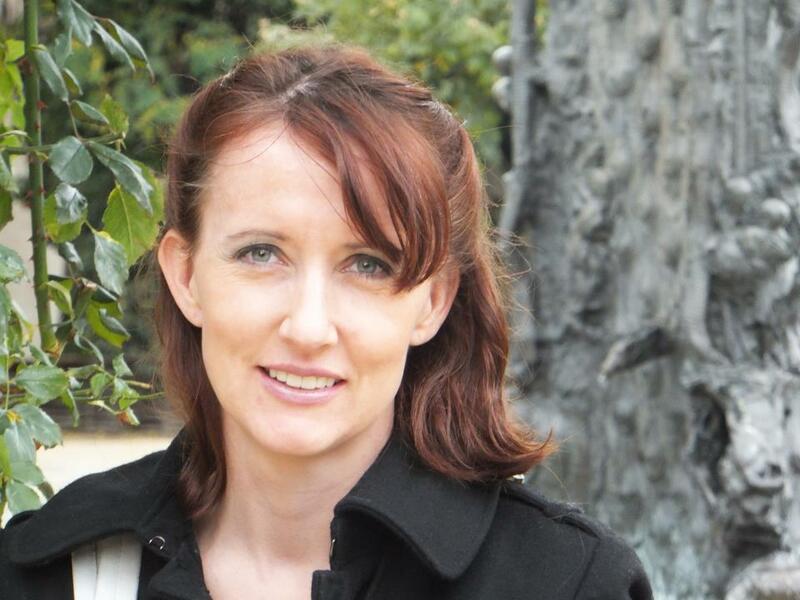 Katie is a Christian, a Jane Austen lover, a wife to her own Mr. Darcy and mother of 5 children, ages 11-1, including twins who have special needs. A pediatric speech language pathologist by trade, she is back in school working on a new masters in history and French, while continuing homeschooling. She misses sleep. She pens her sometimes fairly humorous tales of homeschooling, homemaking and homesteading journeys at the Brighton Park Blog and facebook page and tweets about them as @kateinbrighton. Hi. I read your article and wanted to ask any homeschoolers for advise. I have a 4 year old who will be turning 5 in May and the big decision of homeschool or public school is upon us. He also had food allergies and I worry about the impact of worldly influence that public school may bring to my kids. (I also have a almost 3 year old and a 6 month old). I am currently going to college to be an Elementary Teacher but it’s my hearts desire to homeschool. My husband and I have a financial need and so I feel that I have no other choice. My question is, how do other homeschool moms help make ends meet? I want to make income and be able to be at home, is there anything out there that would make this possible? Thank you for any feedback that you and others can provide! AMEN to all of that! I am currently working on my MSW after graduating from law school (while homeschooling too) and I’m a single mom all of your tips help me keep my head above water. I am in pretty much the same shoes, but without the husband. I am a single mom to 5 (2 in college), homeschooling and teaching 2 days a week in a Homeschool setting ( I teach science, all levels). I decided last summer to go back to school for the prerequisites needed for either medical or PA school. It’s not going to be easy, but I am letting the Lord lead me, one baby step at a time. Next semester I’ll be taking Physiology. I got an A in Anatomy in the fall, such a good feeling after 20+ years since college. Good luck to you! 10 hours~!! Oh MY! I’m in my last year of my Bachelor’s for Business Management.. and juggling for time can be so distracting! Thank you for the tips! I’m going to need them! Emily, we came to a fork in the road when my son was attending public school but was being severely bullied-etc (he also has learning disabilities).. I was just about to go back to work, now that his sister and him were attending school., and this was erupting.. So my hubby and I had to take a real look at what was more important for our family, an extra income or homeschooling my son (we dont have any family support, so this was solely on us, no babysitters).. We decided homeschooling was more important.. We dont go out to eat, or do family vacations, we have only one car, the kids dont have big birthday parties ,christmas time has a budget.. But we do have fun days with the kids in replacement (bowling, beach, zoo’s overnight stay at a hotel with a pool,) these things at this point in their life seem to make them happy and content.. Every family has that decision to make for themselves, what are your needs and can they be met on one salary.. Or if you stayed home to homeschool, maybe watch another child within your home to earn some income.. It’s a hard decision for everyone..Good Luck and God Bless, whatever you decide, your family will be ok..
Home schooling is really helpful to celebrities and athletes. I want to homeschool my daughter and keep my son in elementary until he too is in 5th grade. I am currently a student in college. How can I make this doable? I am only taking 5 hrs a week this semester but we also have a sheep farm on the side. My AA study is in the field of music so I have to go to campus for music classes. Academics are out of the question for me right now. What would I do with my daughter while I study on MWF from 9am-1:30pm? Is this doable? I really want to get her out of the public school she is in. Great advice! I’m going back to school for the first time in 18 years this January. I’ll be taking 14 credits, and working towards a literature degree. I will be homeschooling, going to school, working at night, helping my husband with his business, and running a homeschool science club. Oy! Wow. I am so impressed by what she has accomplished. I am a mom of 2, a 3 soon to be 4 yr old, and a 1 soon to be 2. I will be starting homeschooling this year and I am also trying to go back to school. On top of that I work part time. I was debating going back to school but after reading this post Im convinced I should definitely go back. Thanks for advice. Hi. I am wondering after so many years of writing this post, if you finished your degree? I am so glad I found this website. I also thought I was crazy for homeschooling my 11 and 14 year old girls and studying as an under grad biology student. I am so happy to know that there are moms like me out there! I just finished my associates degree and have been contemplating changing my major because it takes soo much time to study science courses. But not I know I should not give up! I have a total of 5 kids, 2 in college, 1 in public high school. They all are living at home. We are also living on one income so this gets very hard. I love biology, though. I really want to understand my body and my kids’ bodies as well. So I hope I can continue. How does everyone feel about the long, drawn out effect of having to take one or two classes a semester? This is the only way I can manage all of this… but it means I will finish in another 4 years if I’m lucky. I’m 39 years old…so this seems frustrating.